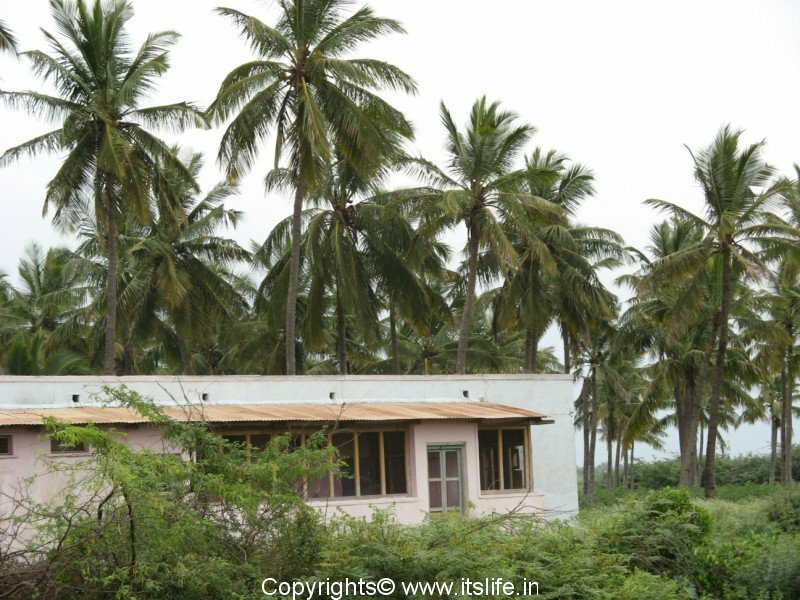 Kurtakoti is a small village situated 16 Kms from Gadag and every single summer holidays of mine was spent here. My Grandfather was the zamindar and the police Patil. The main occupation of the village is agriculture. Few decades back traveling to the village in different types of transports was great fun. Living in more than 100yrs old ancestral home with cousins, grandparents and uncles are unforgettable. 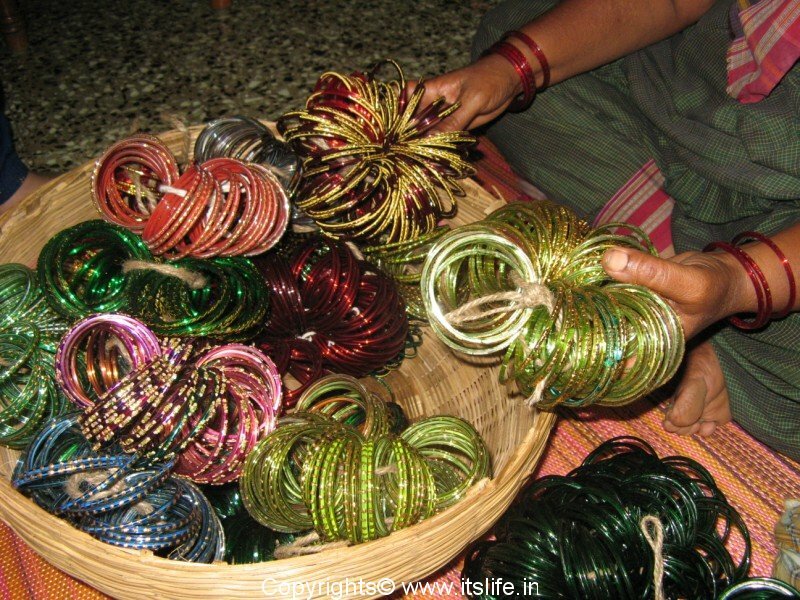 Whenever we visited, my aunts would call the bangle woman home to buy bangles for all the girls and women in the house. It used to be so exciting. 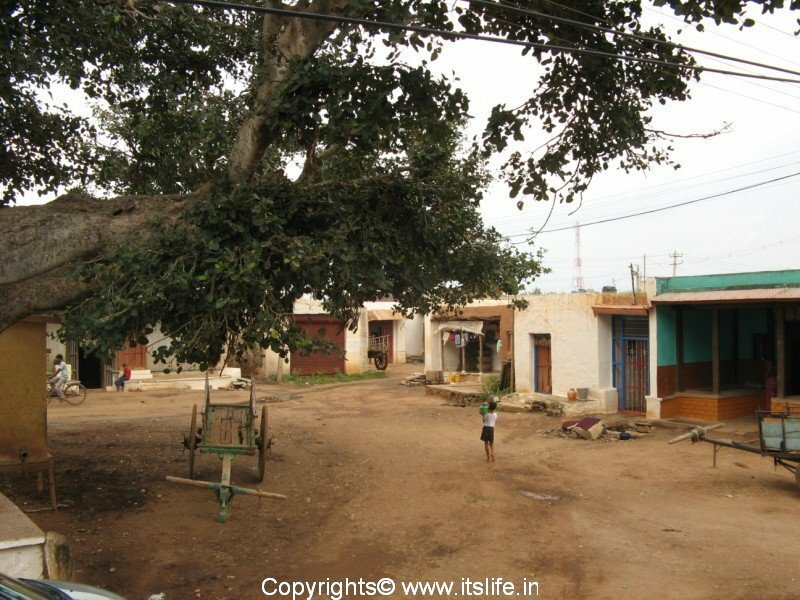 The functioning of village life with its advantages and disadvantages were an eye opener and a fantastic experience. 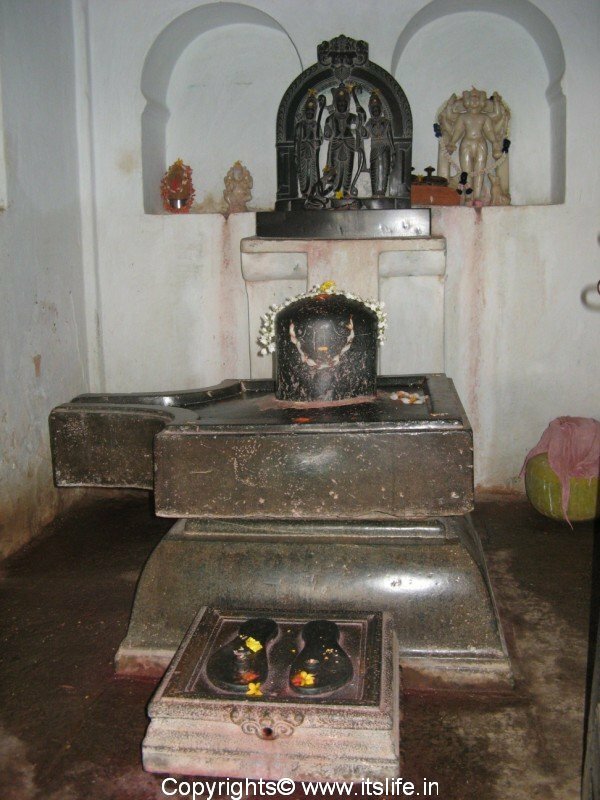 The Gowrishankar / Shiva temple was built by my great grandfather Shri Marthanda Patil and later in 1908 idols of Sri Rama, Lakshamana and Sita were installed by the famous saint Shree Brahma Chaitanya Maharaj. 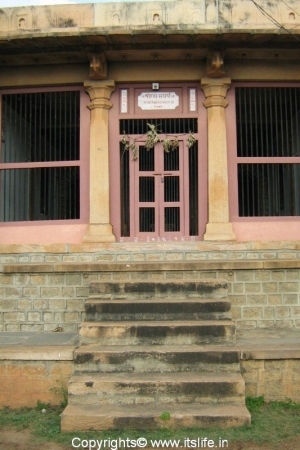 The temple was also visited by Sadguru Shridhara Swamiji. 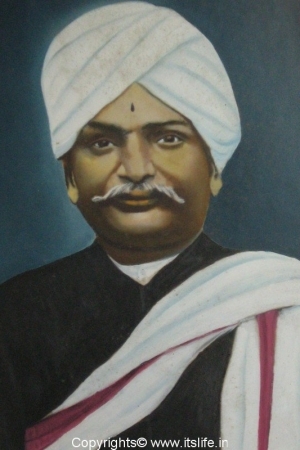 The most popular painting of Shree Brahma Chaitanya Maharaj was painted in Kurtkoti by Shri Harppanahalli on 5th September 1908 during the Maharaj’s visit to the village. 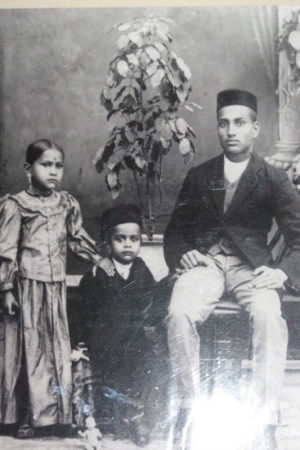 The copyright was given to my grand uncle Raoji Patil. The painting was sent to Germany for preparing the printing block. The block was brought back and many copies of the Maharaj was reprinted to be distributed free of cost to all devotees of Maharaj. In the painting the SriRama, Lakshmana, Sita idols painted in the background is that of the Rama temple of Kurtkoti. 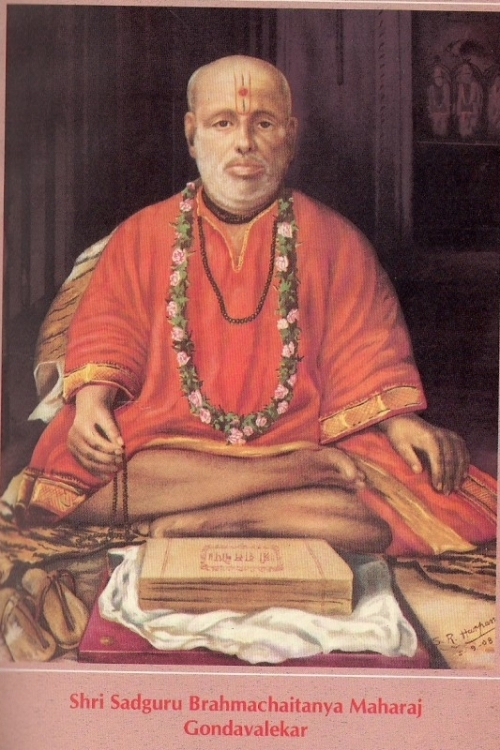 Some of the devotees of Shree Maharaj still have this painting framed and worship it. 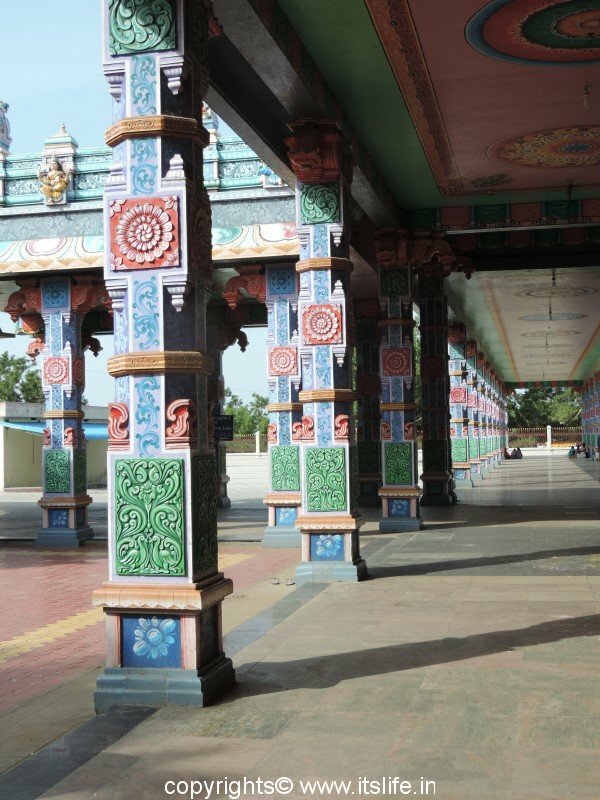 The other famous temples of this village are 500 years old Mailara Gudi, Shri Ugra Narsimha temple, Hanuman, Dattatreya temple, Virupakhshalinga temple, Rama temple, Lakshmi Temple and AllamaPrabhu Mutt. 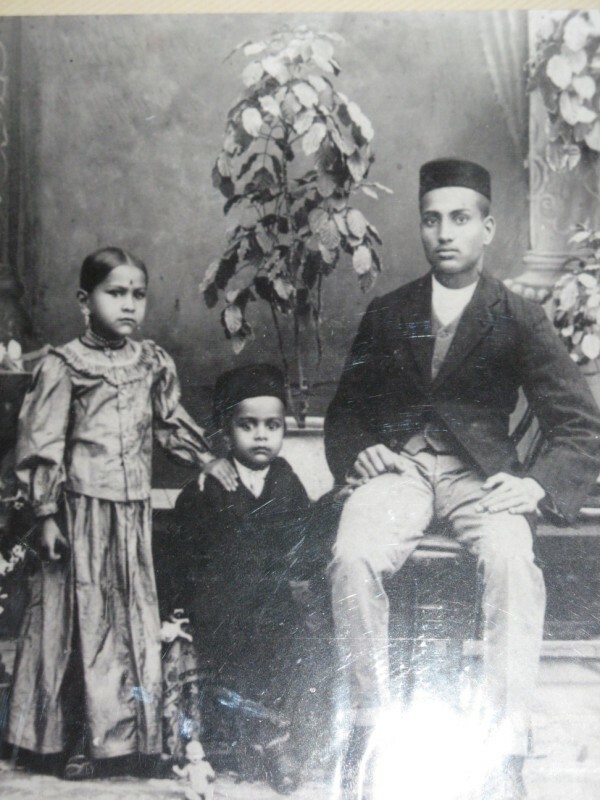 The North Karnataka outfit for men and boys comprised of a black topi / cap or a turban for the head, a white dhoti or trousers, a shirt or jubba and a black coat worn over a shirt. Young girls wore long skirt with blouse and women used to wear the nine yard saree, blouse and hair plaited and tied into a bun. On occasions women wear a nose ring known as “Gade”. 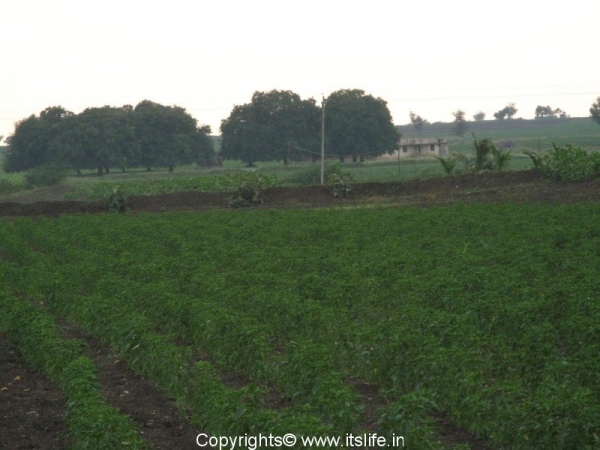 The major crops grown here are Groundnuts, Chilies, Cotton, Sunflower, Jower / Sorghum. The cuisine of this region is my favorite, which comprises of delicious dishes like Chakkali, Avalakki, Jhunka, Jowar Bhakri, Madki Usali, Sajji Rotti, Rawa Laddoo, Besan Laddoo, Lemon and Mango Pickle, Mandagi, Masala Bhath, Antina Unde, Maledi Unde, Batati Palya, Amathi, Mango Sweet Chutney, Karchikayi, Holige, Godi Huggi, Shrikhand, Mango Shikarni, Basundi, Badanekayi Yennagayi, Kaalina Palya, Soppina Palya, Mirchi, Arala Hittu, Ranjaka etc. Excellent information!!! Really nice to see the information about my village …I am so happy.. Thank you for your feedback. It is a reward for me when I hear that people liked what they read in this website. I have very fond memories of Kurtkoti and keep visiting once in few years. It is wonderful to meet you online like this. 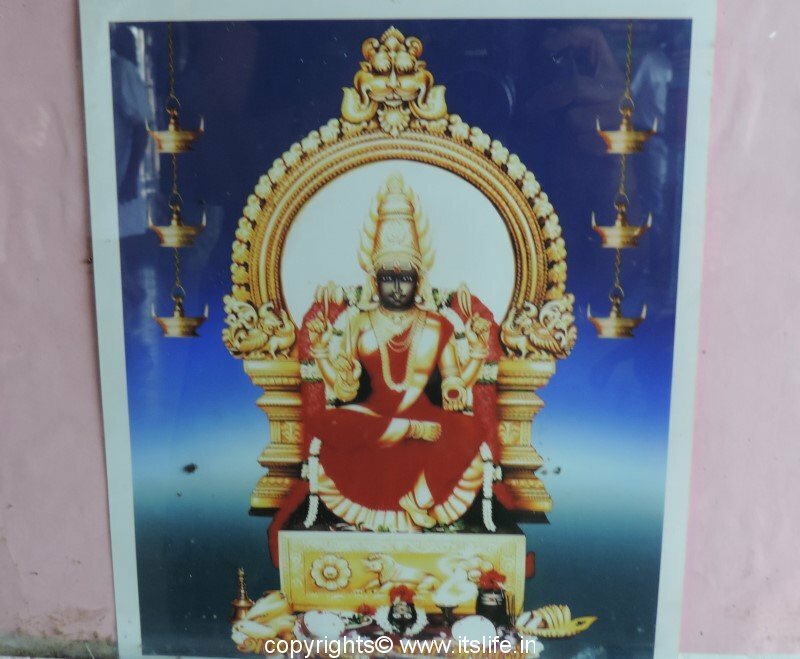 I am the grand daughter of Maillarappa, and I lived in Mysore and has visited your house many times and I remember you and your family visiting our house in your Red car. I visit Kurtkoti and stay at my grandfather’s house with my cousin and family. Hope to meet you sometime and discuss more stories about this village, which has unforgettable memories for everyone who has visited this place. it is very nice to see the articale and photo’s of my place like this on net its really a wonderful job. my dad was informed by Rajapurohit Uncle about this site and really thanking for the wonderful work done by u. Thank you for visiting and appreciating the work. 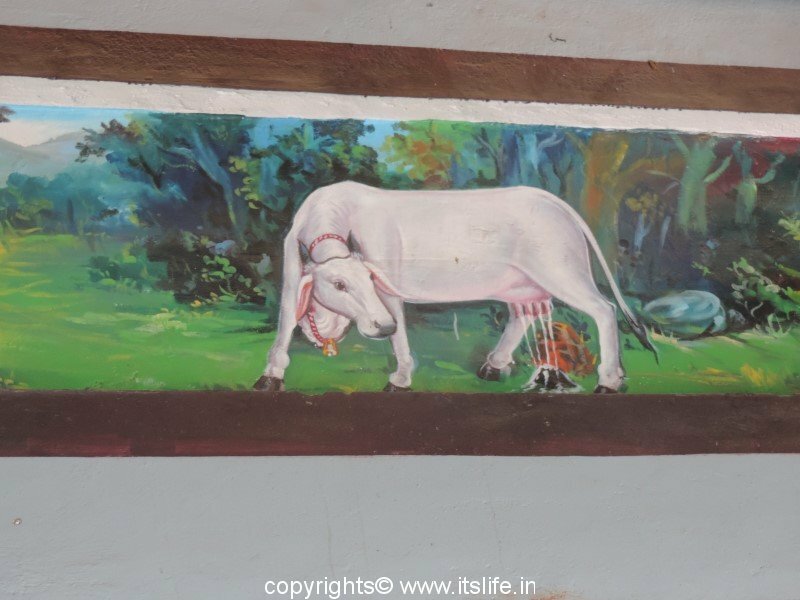 The last time I was in Kurtkoti, I met your dad (Babu Master) and he was the one who gave me the information about Brahma Chaitanya Maharaj’s painting. I am really thankful to him and I really appreciate his passion for the village. By seeing/Reading this article u are a marathi-speaking madhwa is it? 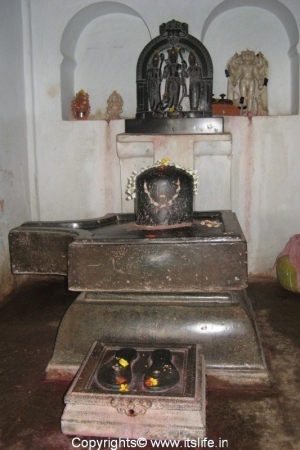 Kurtkoti is situated in North Karnataka. It is my mother’s native place. The people there speak only Kannada though there are women married into the family who speak both Marathi and Kannada. I am a Kannada speaking Mysoorean madhwa married into a Udupi madhwa family. 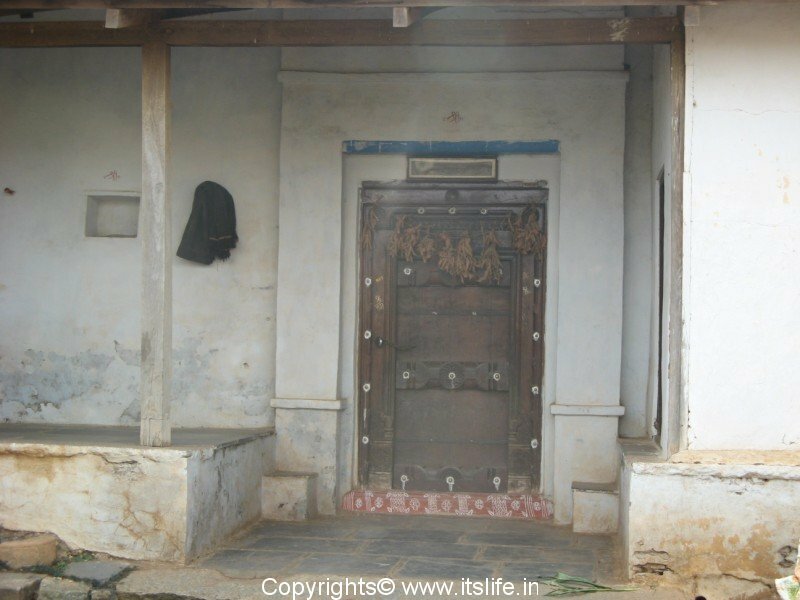 Though I am from Maharashtra, we know that Shree Maharaj (Gondvalekar) visited this site and even Dr Kurtkoti, who later became Shankarachaya of Kolhapur peetha, was ardent deveottee of Shree Maharaj. 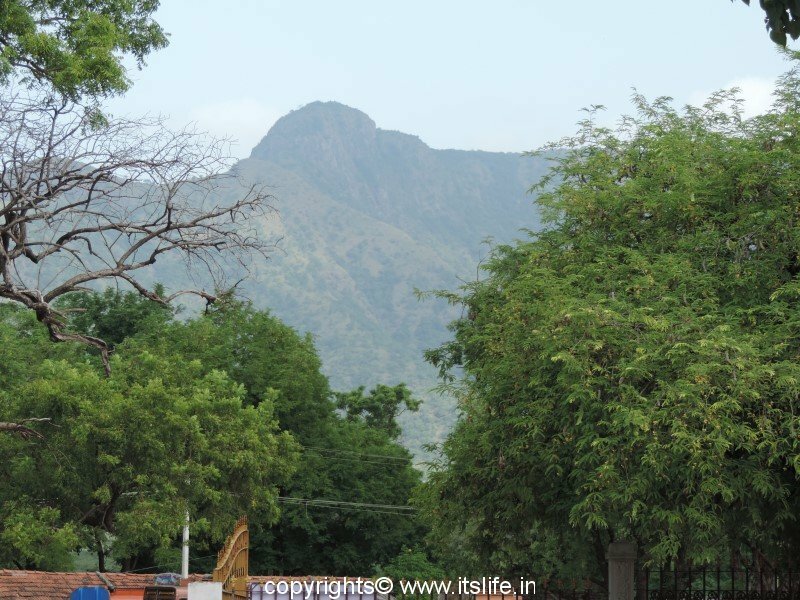 Definitely I would love to visit this area – Gadaga, Kurtakoti, Venkatpur etc. 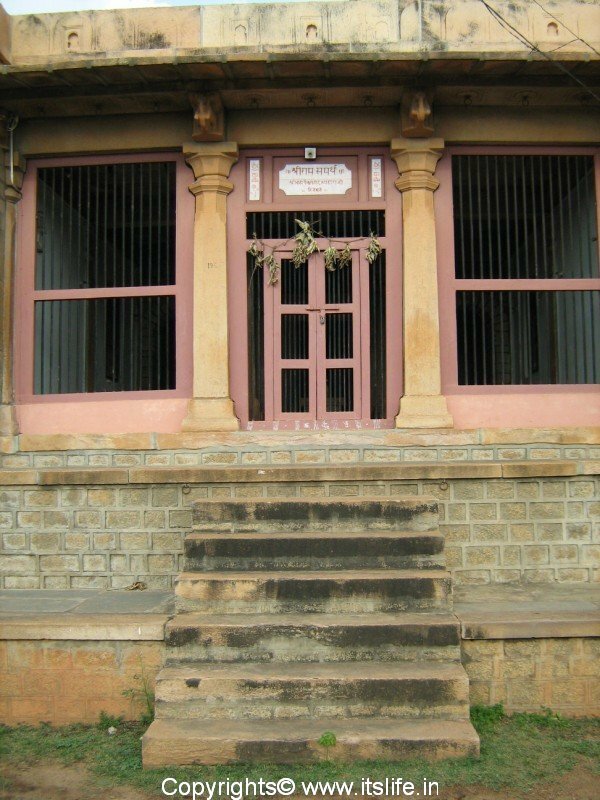 Since you are from Mysore, if you know more stories of Shree Maharaj pls can you put it here on this site. Because if I am not wrong Shree Maharaj has many followers in Karnatak, also he has visited Mysore. I am happy that you visited my website. I have read about Maharaj and always had the framed photograph of Maharaj at home in the pooja room. So, you can say I feel connected to the Maharaj. He has given his Paduka to my Grandfather who resided in Kurtkoti, it is still there and my wish is to make a silver covering for the paduka, to preserve it forever. I hope I can do it as soon as possible. 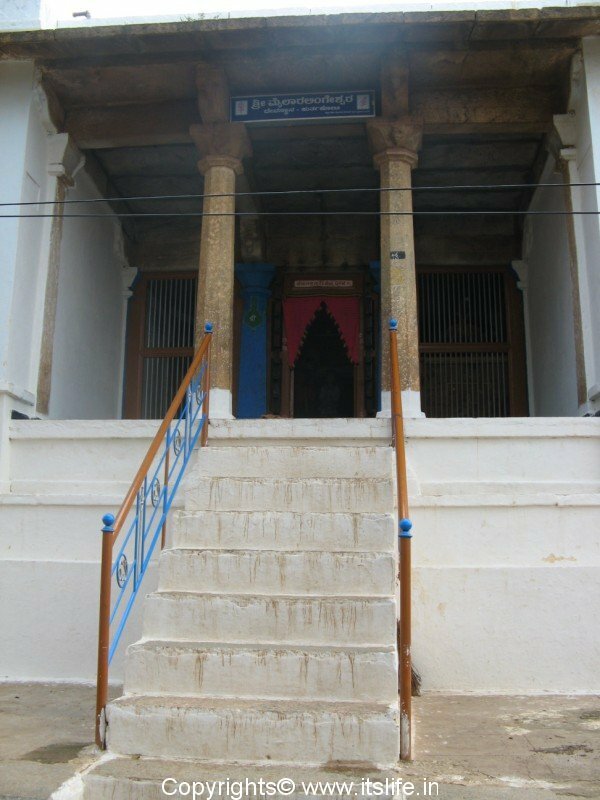 There is one “Brahma chaitanya mandira” at Chintamani[a place near Kolar] which is very famous place and a family diety[champakadama or Lord Rama] of my paternal grandmom’s family. That mandira is also dedicated to ‘Brahma Chaitanya Maharaj’ and Lord Shreeram. 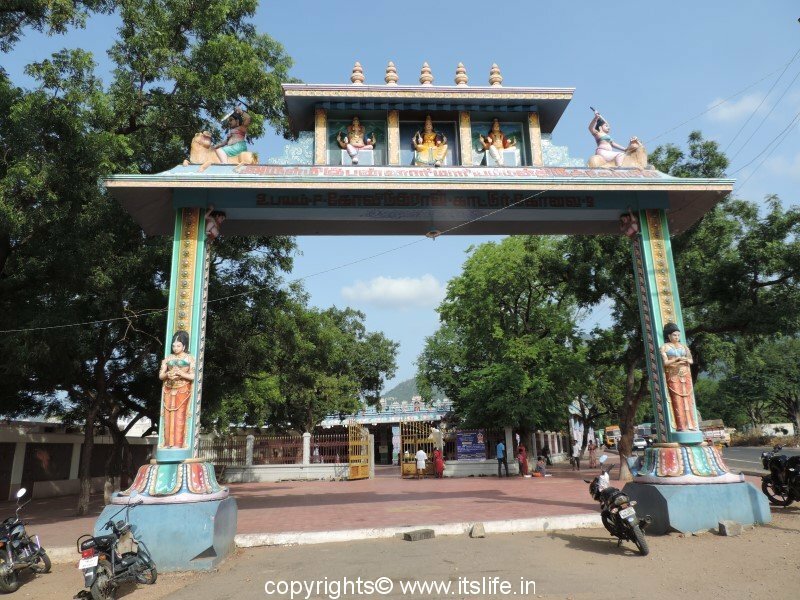 Do visit sometime during aradhane and all.. I request you to pls serach more about Shree Maharaj visit Mysore. 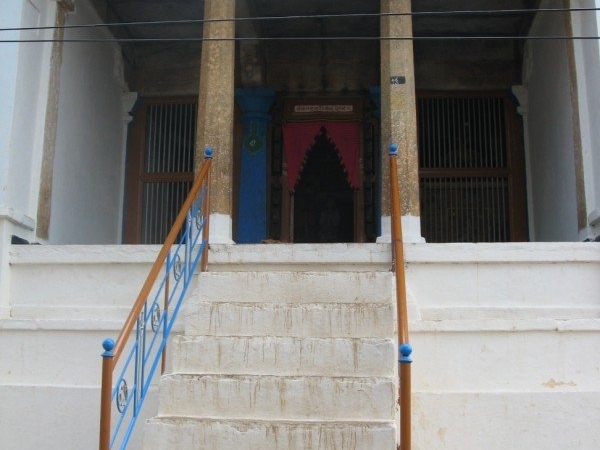 There must be senior followers of Shree Maharaj in Mysore, who could provide more insight on Shree Maharaj visit. Thank you for sharing all your experiences and information. I visited the blog and it has valuable information. As I collect the information regarding Shree Maharaj, I will publish it here. Hi Shantha, is it possible for us to get darshan of the paduka? 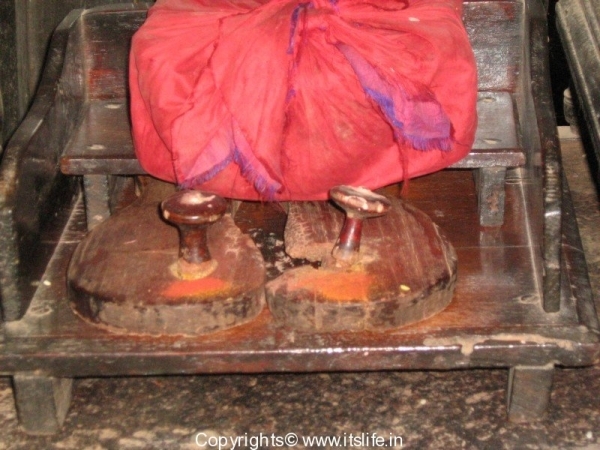 The paduka is right now in Kurtkoti and I will add the picture of it right here in this post. There is one more stone paduka that is kept in the Rama temple in Kurtkoti on which Shree Maharaj stood and he also installed the Rama idol there. oh you make me resolve harder to visit kurtakoti! Thank you Shantha the pic of paduka loaded slowly and it surprised me! U r quick :D. Shree Ram, Shree Maharaj! Even though, I hope you visit Kurtakoti, I would like to warn you that it is a very remote village with absolutely no facilities for visitors. I love such places. I have visited Heballi and Navabagh math and though they have place for shelter they are remote and bare minimum by means of facilities. I do plan to take along Gurunath Kulkarni our friend who speaks Kannada so we won’t have trouble. I wish to visit Venkatapur, Gadag and other nearby places too. 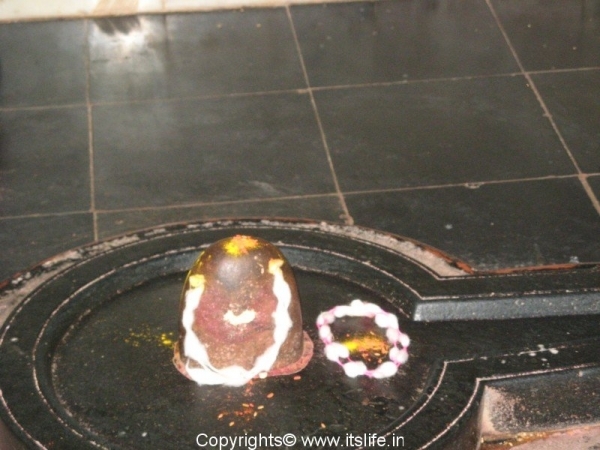 I have visited Hadonhalli, Vidhur Ashwathpur, Chintamani etc. I am inspired by your generosity. Will share pics of my trips. 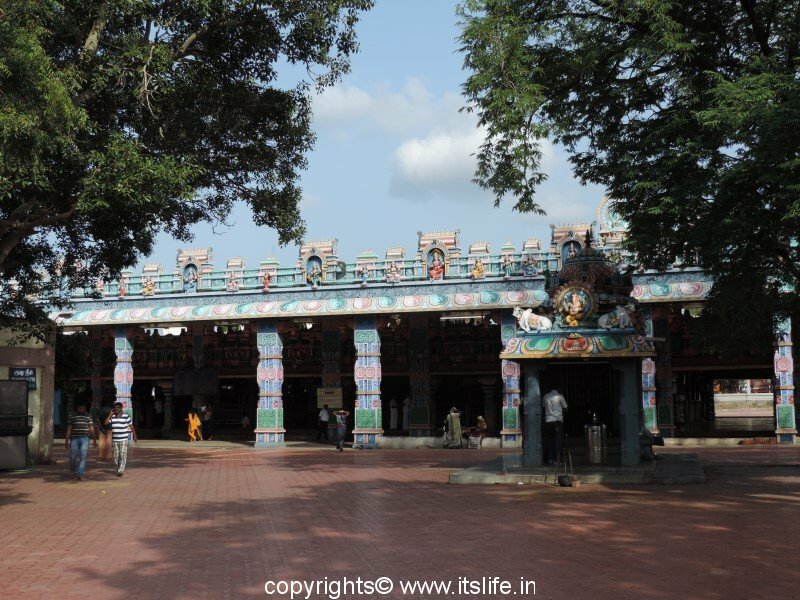 Meanwhile here is abt my trips to Hospet and Gondavle. Anjali, I also love visiting remote places too with absolutely no commercial activity! Do visit Kurtkoti and let me know when you visit the place, I will inform my cousin to show you the Paduka at his house. Your blog is very informative and I will also try and visit Gondavali. Sure Shantha will keep you informed. It would be great help if you can inform your cousin. You can contact me for any query before visiting any of Shree Maharaj’s places. 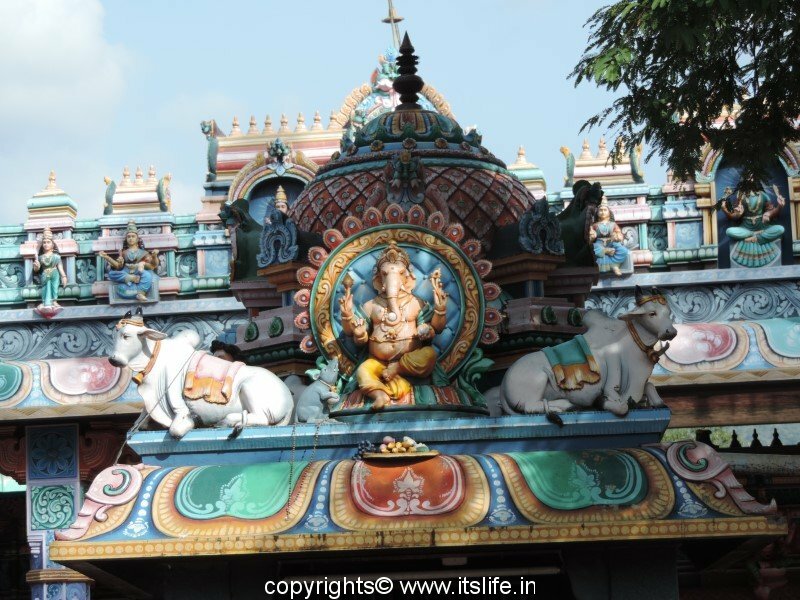 Most places they welcome devotees with open arms and lot of warmth. Shantha, by any chance your family relationship with Shri Dr Kurtakoti ?. 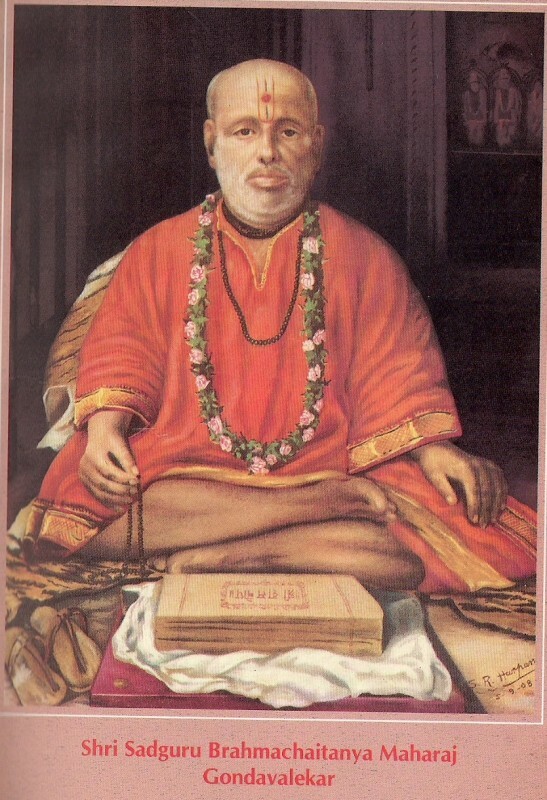 Great Follower of Shree Maharaj. Sorry for this late reply. Yes, my mother is ralated to Shri Dr. Kurtakoti. Their forefathers were brothers. 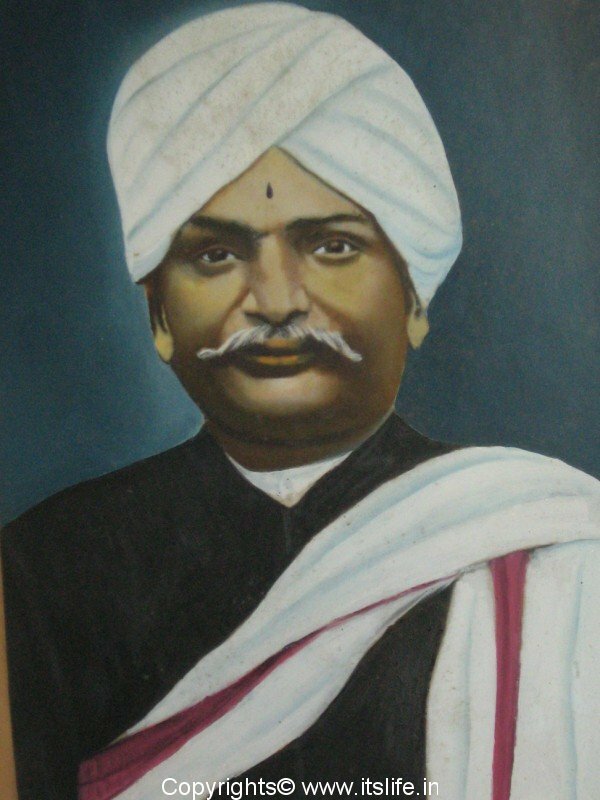 Dr. Kurtakoti’s name was Mailagiri Patil and was born in Kurtakoti. I am extremely grateful for giving all this amazing information about Kurtkoti. There is so much to learn from you. I am so happy that I could put Kurtakoti on the international map. It was a place of great culture and knowledge. It is also a wonderful initiative by Dr.N.R.Patil to construct a temple of Shri Maharaj’s Paduka temple in Kurtakoti. I wish him the best and would love to contribute my two cents to the project. Please please keep writing about Kurtakoti and I will be waiting for your long replies. It is nice to know about the history of this photo .I am follower of Shree Maharaj and have the same photocopy in my house. 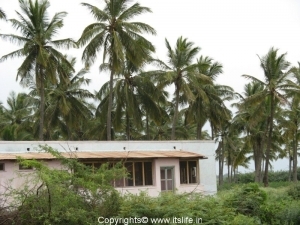 I am a native of Hombal village near Gadag. Thanks for visiting Arvind and happy to meet you. I will let you know when the temple being constructed in Kurtkoti dedicated to Shree Maharaj is completed. Maybe you can visit with your friends and relatives. Thanks for the reply. I have gone through all mails and your replies. Maharaj’s blessings are always with you. we have been living in Maharashtra since five generations.We have great faith in Bramha Chaitanya Maharaj We belong to the Brahmin community.We want to know more about Maharaj and the village. We like your information about village and maharaj.plz rply. By chance I went through ur website today, its a great feeling to look out My place(Native) on net. Magnificent work by you. It is wonderful to hear that you liked the post about Kurtkoti. I will definitely ask Shri Rajpurohitji to write information about Venkatapur. Its good to know that some one from Kurtakoti is keen in making it famous. I am also from Kurtakoti. I belong to the ‘kallina mani’ a house apposite to Mailara temple. Keep up the good job. Great to know that you are from Kurtkoti. Thanks for your positive feedback. Thank you so much for responding and the photograph. I will send the photo to Sri Vishram Kunte and also give your contact details. I will also ask my cousin regarding Sunil and will let you know how he is related to Sri Nani by email. As usual, it was a delight to your comment. The information you give is invaluable and add great value to my website. Please do send me the picture and it is great honor to receive information from you. You are correct. Nani, your classmate is my father. He is no more with us. He passed away in July 2009. 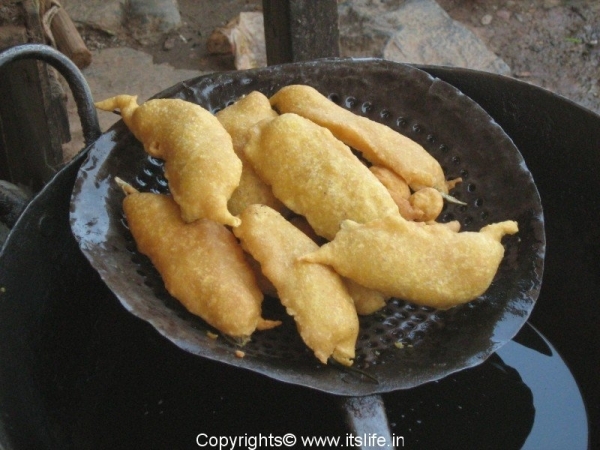 Though you are away from Kurtakoti since long time, it seems you are attached to this place every minute. My papa would have been very happy to talk to you. Again my compliments to Shantha for updating the site. Thanks for visiting and leaving this lovely note. I would be more than happy if more people related to Kurtakoti can get connected. Yes, my mother remembers you all. Wonderful to meet someone who shares the same sentiments about the village. Thanks for visiting the website and leaving this note.